At Retina Associates, our team of eye care experts offer treatment for different kinds of retinal conditions that can negatively impact your vision. Whether dealing with a tear, retinal detachment, or degenerative diseases, our team can help prevent further vision loss and restore general vision quality. 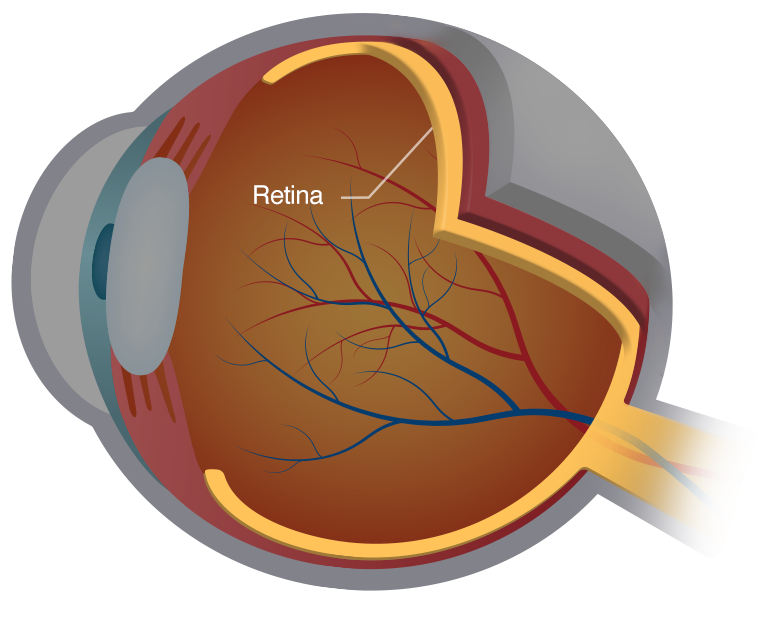 Our Kansas City, MO retina specialists would like to consider the different types of retinal damage a person may experience and then highlight some potential options for retina repair and treatment. Retinal Tears and Detachment - Some of the most well known types of retinal damage involve retinal tears and retinal detachment. These kinds of conditions happen when the retina pulls off from the tissue around it, resulting in vision loss. Macular Holes - A macular hole is a small hole that develops in the macula, which is the central portion of the retina. These kinds of holes can develop over time and/or as the result of an eye injury. Age-Related Macular Degeneration (AMD) - AMD is a common eye disorder in people age 50 and older. It involves the steady breakdown of the macula, and loss of central vision. Vitreous Detachment - As people grow older, the vitreous gel within the eye shrinks. In the process, the vitreous gel may pull at the retina, resulting in tears or potentially detachment. Yes, in many cases an eye doctor can repair a damaged retina. While a patient may not experience completely restored vision, retinal repair can prevent further vision loss and stabilize vision. It’s important that patients get treatment for their damaged retinas as soon as possible. The earlier professional treatment can be performed, the better it is for the patient’s eyesight. Laser Photocoagulation - Laser surgery can be used to reseal a tear or reattach a torn portion of the retina. Cryopexy - Cryopexy is another method of reattaching a torn portion of the retina. Whereas laser photocoagulation uses thermal energy, cryopexy freezes the tissue into place. Pneumatic Retinopexy - Pneumatic retinopexy is a process in which an air or gas bubble is injected into the eye to help press the damaged retinal tissue into its proper position to reattach and heal. Scleral Buckling - Scleral buckling involves a small piece of silicone sewn against the white of the eye. By creating an indentation on the eye’s surface, it can relieve some of the tugging of the vitreous on the retina tissue. Vitrectomy - Vitrectomy is the replacement of the vitreous gel with a new substance to prevent further retinal damage. This technique could be combined with any of the above procedures mentioned. The ideal treatment plan for you and your needs will be determined the the consultation process at our practice. For more information about treating retinal tears and potentially restoring your vision quality in the process, be sure to contact our team of retina treatment specialists. We at Retina Associates are here to help. You can reach our offices toll free at (877) 273-8462.